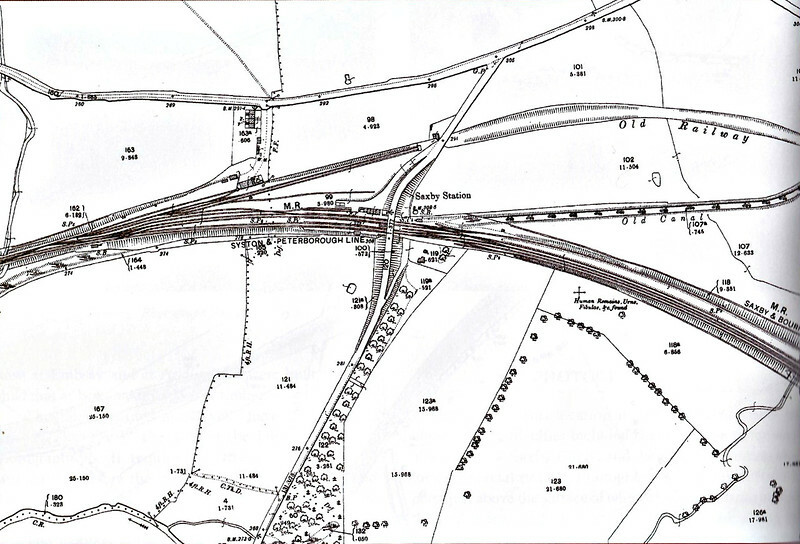 SAXBY - A 1904 map of Saxby Station, located just to the left of the road bridge. The MR Leicester - Peterborough line is joined here by the M&GN just to the east of the road bridge. The 'Old Railway' is the original MR alignment was taken out of use in the 1880's when the line between Manton Junction and Glendon Junction was opened as the curves on this were considered far too tight for expresses travelling at high speeds. The stub was subsequently used for wagon storage. The station was resited and expanded when the M&GN arrived in 1892.